Instagram has become the go-to place for watch lovers to discuss watches and showcase their collection. Here are 10 accounts you should follow for your daily fix of mechanical wonders. Ben Clymer is the founder of Hodinkee, the number one reference website for anything watch-related. On his personal feed, Ben displays his love for mechanical watches (mostly vintage pieces) and also his passion for vintage cars. Atom Moore is the Art Director for AnalogShift and also a watch photographer. He is also a known artist, particularly for his exhibition called Watch Portraits where he creates art pieces from macro photographs of watches to emphasise key features of the movement or the dial. Eric Ku is regarded as one of the top experts on vintage Rolexes and is a well-respected dealer. He is also a well-established collector and the owner of the Rolex Vintage Forum, the most highly trafficked vintage Rolex oriented website on the internet. Haute Time is the first website dedicated exclusively to watches valued over US$10,000 and, just like their website, their Instagram feed exclusively features high-end expensive watches. Anish Bhatt is the founder of Watch Anish, an online luxury lifestyle publication based out of London. 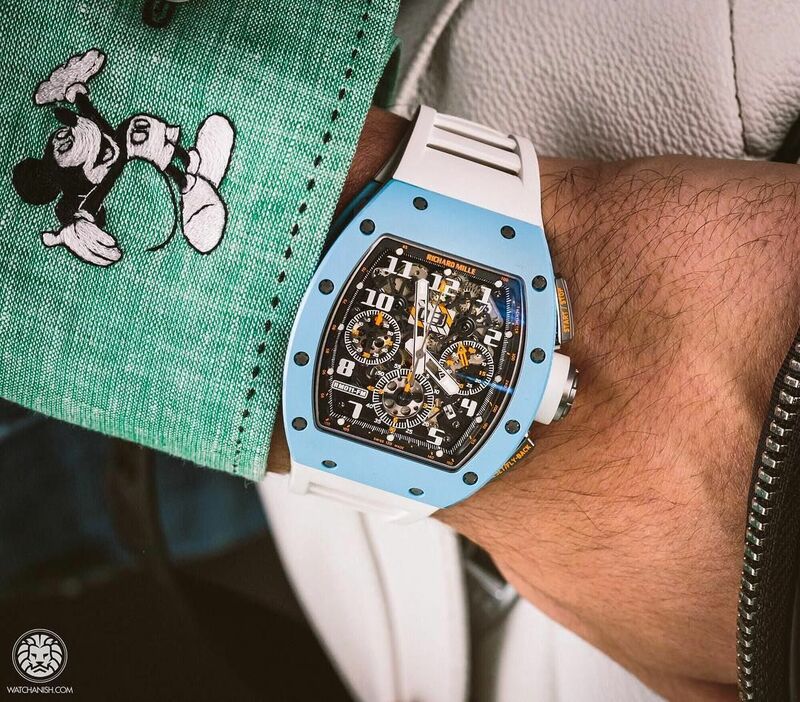 He presents watches in the high-end environments they were intended to be a part of by mixing complicated mechanical watches with fashion and lifestyle. He now has over 1.7 million followers including many celebrities and CEOs. Greg Blumenfeld is a French watch dealer based in Paris with a website listing the average price of watches on the second-hand market, as well as listing the retail prices of many watch brands. On top of that, he creates editorial content and video interviews with industry insiders and celebrities. As the name suggests, moonwatchonly is a niche account dedicated only to Omega watches, no matter if they are vintage or modern. Scroll through their feed and you'll surely find an Omega Speedmaster reference that you like. Horoloupe is a watch collector from Shanghai, China. Chances are you'll be drawn immediately to the sleek pictures of his watches as they are beautifully styled to showcase the unique features of each timepiece at its best angles, giving the feed a very sleek aesthetic. Bexsonn is an online journal mixing, as they put it, fine timepieces with liquid gold. That's right, it's all about watches and whisky here and the two work well together as a gentlemen's affair. The products are the stars, with simple and clean backgrounds and perfect lighting to give the account a very minimalist aesthetic.